LIEGE: His diction is still a little odd, and his movements sometimes a bit hesitant, but Pepper the robot is all geared up to help patients at two Belgian hospitals. The humanoid assistant, who has a screen on his chest and a round head, is the first robot in the world to be used to greet people in a medical setting, his software creators said. Pepper is taking up reception duties at hospitals in Ostend and Liege, where he was unveiled at the Centre Hospitalier Regional La Citadell. Standing 140 centimetres (4 ft 7 in) tall and equipped with wheels under his white frame, Pepper can recognise the human voice in some 20 languages and detect if he is talking to a man, woman or child. 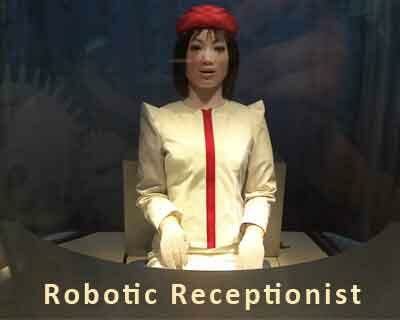 In Liege the robot helper, who costs about 30,000 euros, will for the moment remain in the hospital’s reception area. But at the AZ Damiaan hospital in Ostend, he can accompany visitors to the department they are looking for, said Raphaël Tassart of Belgian firm Zora Bots which developed the software inside his robot brain. Robots like Pepper, whose components come from Asia but are assembled in France, have already been tested in Japanese shops and a few large French malls, generally carrying out retail functions. “But it’s the first time that they will be used in reception,” said the spokesman. Another line of smaller robots made by the same company, the 57-centimetre tall Nao, have already been deployed in some 300 hospitals and retirement or care homes around the world. In Liege and Ostend, they are used as a support tool in the paediatric and geriatric departments.